Bex again. We discovered Courtney Slazinik at the first annual Click Away Conference. Kellie kept hearing about her presentation (which she had to unfortunately miss) being a full house and incredibly inspiring. The room was filled with laughter and eager ears. Courtney is the founder of Click it up a Notch, an ever-growing internet resource for photographers of all stages. In 2011, Courtney found many individuals requesting her advice and tips after seeing her photos. Clickitupanotch.com was born soon after. Courtney is a married mother of three girls who candidly admits her successes and shortcomings as a “mom-tog”. Her blog has gained widespread attention over the years and has helped aid so many in their desired growth in this craft. She boasts huge numbers in all her social media followings as well as a great reputation in the field. She believes in sharing not in competing. I LOVE that about her. We can’t thank Kim of SHUTTERbag USA enough for bringing her to our attention! Speaking of Shutterbag: Have you checked out their site yet! 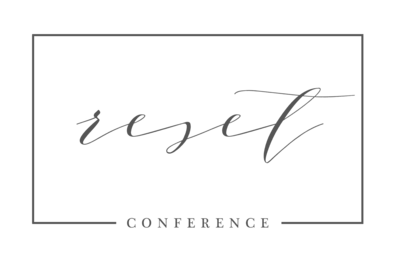 We were thrilled to host their booth at the 2014 Reset Conference and even more thrilled to host them again this year. Be prepared to drool and spend when you visit their booth! 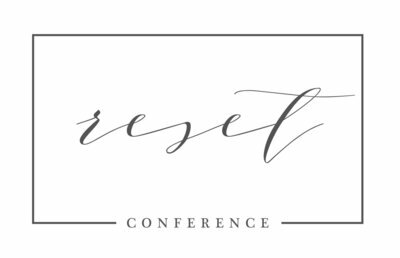 Shutterbag is the proud sponsor of Courtney Slazinik for this Reset 2015 Conference! We are so Incredibly lucky to have you all on board with us! I’m a wife to an amazing man and mama to 3 little girls. I am a former elementary school teacher turned stay at home mom turned work at home mom. I found my passion for photography when my second daughter was born. My husband accidentally broke my camera ten minutes before I gave birth to her. I informed him he would be getting me a DSLR and the next day I had my new sweet baby and my DSLR in my hands. I begged a friend to teach me everything she knew. Then I moved to Japan and started a 365. Friends started to ask me to teach them photography and I realized I could combine my love of teaching with my love of photography and so Click it Up a Notch was created. Four years later, I look forward to each Monday when I get to go back to work. My kiddos. I am not in business in the traditional sense of the words so I take photos for me and my kids. I want to capture their childhood so they keep me inspired. Things change everyday with them. I let go of the idea that all the photos I would capture of them would be portfolio worthy. Instead, I capture the moments of their childhood. I’m a huge fan of Lightroom. I couldn’t imagine editing without it. I don’t use a lot of presets but I do enjoy the ones at Clickin’ Moms. My favorite is the Casablanca black and white preset in the Cinema collection. SHUTTER|bag camera bags! I love that these bags can be used for not only a camera bag but it doubles as the perfect everyday bag. As a mom of 3, I always have something extra to carry but now I can carry it and know that my camera is safe in my bag as well. Gone are the days of wrapping my camera in a diaper (a clean one). My lens pen. When you are photographing your kids and carrying your camera all over, the lens gets smudges and little bits of dust and junk on it. I love having my lens pen handy to clean it up. If I could only photography with one lens, it would probably be my Tamron 24-70mm f/2.8. That lens is so versatile and tack sharp. If I’m heading out on a trip or for the day and only want to take one lens then that is the one I bring. I’m a huge prime lens girl but this lens sold me on zooms. I love the focal length and that it can go as wide as f/2.8. It’s a fantastic lens. A sense of our life. I want them to see the moments of their childhood. Some moments are more thought out than others but most are just our everyday life. Personally, I stay away from black and white photos with a pop of color. It just isn’t my style. The streets of a city and capture the real moments of those passing by. I’m so fascinated with street photography. It is real life. Not posed, not staged, real moments. I wish I could sing. I’m probably one of the worst singers ever. I can’t carry a tune to save my life but in my head I sound like Whitney Houston. My lack of singing ability doesn’t stop me from singing. My poor husband, kids, and friends just have to live with it. Your laugh…loud and obnoxious? Quite giggler? Full-on snorter? I wish I had more time. Time with my kids and husband. Time by myself. Time for work. Time for editing. I wish I had less dishes. Less clothes to fold. Besides my family and friends, teaching. I adore helping someone young or old figure something out. I love sharing my knowledge and experience and then watching them soar! When I was in fourth grade it was storybook character day at school. I dressed up like Pippi Longstalking with my hair in a hanger to make my braids stand up and mismatched clothes all the way down to my socks. I got on the bus and noticed no one else was dressed up but figured they didn’t want to participate. When I got to school I found out I had dressed up on the wrong day. I was a week early. Unfortunately, my teacher couldn’t reach my mom on the phone (how did we live before cell phones) and I had to wear those crazy clothes all day. My big dream would be to spend a month each summer in a different country. I want my kids to experience life outside their bubble and see the world is big and interesting and different. Snuggled up next to my husband watching a movie. We are wild and crazy like that. My daughters know how truly beautiful inside and out they are. Personal chef and house cleaner. A season 4 of Newsroom.